We install aluminium windows across Dunfermline, Edinburgh, Stirling, Rosyth, Perth, Dundee, Fife, Glasgow and surrounding areas. More and more of our customers are choosing aluminium windows for their home. SRJ Windows offers high quality aluminium products, a first-class service, and a result that will last for years. Visit our Fife showroom to view our aluminium range. Given our broad range of aluminium windows, it is no wonder so many people in Scotland are turning to SRJ Windows to enhance their properties. Our products are safe and secure, and they come in a variety of styles and colours. As a modern option, our aluminium windows have been designed to ensure your home remains safe and comfortable throughout the year. With these windows, you’ll benefit from exceptional standards of thermal efficiency, security, durability and design. Our aluminium window range includes aluminium casement windows and aluminium tilt and turn windows, which offer an updated alternative to the classic design. With these options, you’ll be able to enjoy the timeless appeal of these windows whilst still making use of the latest designs. For our aluminium windows, we utilise the latest technology, including Swisspacer glass warm edge expertise. This gives you a cutting-edge product with a high level of security. 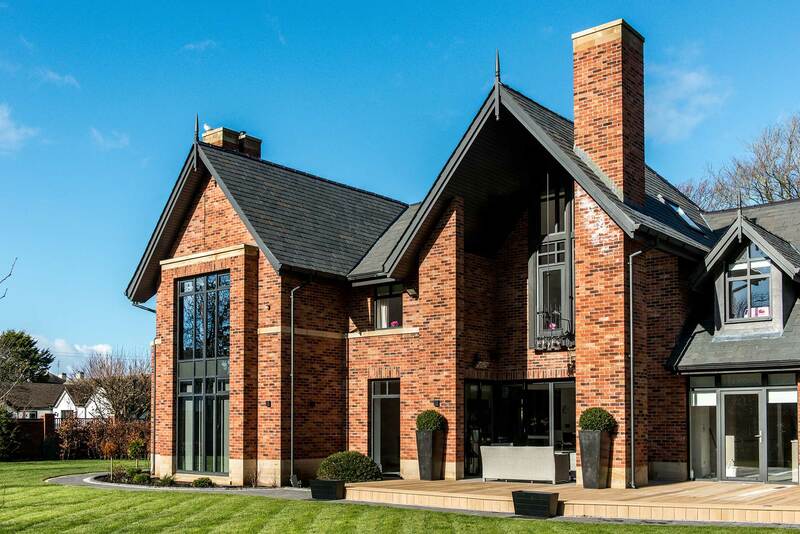 Our professional team will be able to explain why aluminium windows are the ideal option for your home, so why not get in touch with us today? We’ll be more than happy to help. At SRJ Windows, we pride ourselves on our sense of style. All of the windows that we offer are assembled in Scotland. The fact that all of our products are assembled right here at our facility in Fife means that we are able to exercise a high level of control over the look and quality of our aluminium windows. We offer windows that we would be proud to use in our own homes. Our aluminium windows are an ideal choice to match any home décor. We use the classic RAL colour system to offer a wide range of colours, including Anthracite grey and Black, ensuring that your new aluminium windows will fit in with your current style. We’ll be on hand to make sure your new windows are the perfect match for you. Due to their modern approach, our aluminium windows are able to achieve an impressive level of thermal efficiency. This not only means that you’ll be able to feel warmer and more comfortable in your home during the cold winter months, it also means that you could find yourself saving money on your heating bills across the course of the year. Although slim and sleek in its appearance, aluminium combines function and form to achieve an impressive degree of inherent robustness and rigidity. This is then enhanced further with high security, multi-point locking systems that engage at multiple points of the frame to eliminate the possibility of any potential weak spots that could be used as a leverage point. Our aluminium windows will serve to be a worthwhile investment for your home, offering a degree of quality and longevity that will continue to deliver time and time again. Due to the qualities of aluminium, these windows won’t rot, warp, twist or crack over time or when exposed to the elements. You’ll be able to enjoy windows that will stand the test of time. Our aluminium windows will be able to offer you a beautiful look with minimal input from you. Unlike older designs, all you will need to do is give them a wipe down with a damp cloth to keep them looking as good as the day that they were installed. You won’t have to worry about your aluminium windows looking tired over the years. Further to this, all colour options are applied with a durable coating to ensure they don’t flake or peel. Our team of professionals will provide you a prompt, personal service, fitting your windows to ensure they look beautiful, function properly and -most importantly – keep your property safe and secure. We know first-hand just how important it is that no short-cuts are taken in the installation process. We are committed to providing with nothing short of a stellar service. 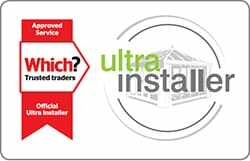 As aluminium upholds impressive structural integrity, they are able to offer all the benefits of security and robustness without having to rely on the bulk of uPVC and timber. With this in mind, our aluminium windows are able to offer larger glazed areas that will fill any room that they are installed into with natural light. These windows will be able to offer you a bright and spacious feel, outclassing other window designs. To get a free and competitive aluminium window price, you can get in touch with us via our online quoting engine to get a bespoke quote. Alternatively, you can get in touch with us via our online contact form should you have any questions. Alternatively, our showroom is also a fantastic place to visit if you would like to see our aluminium windows first hand. A member of our team will be more than happy to help.